Post news Report RSS	Help us translate Vast Void! 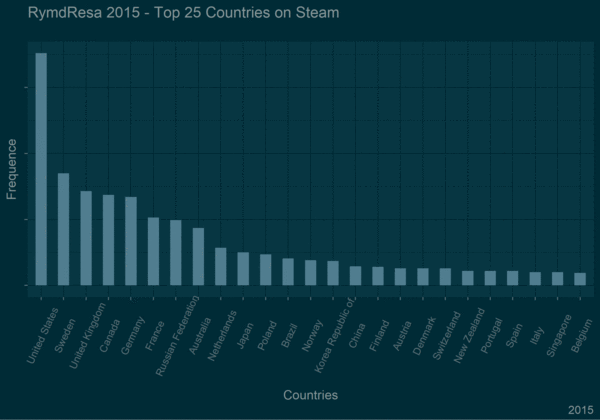 This week's blog post is super long, containing super much stats! We present the results from the poll we ran two weeks ago. 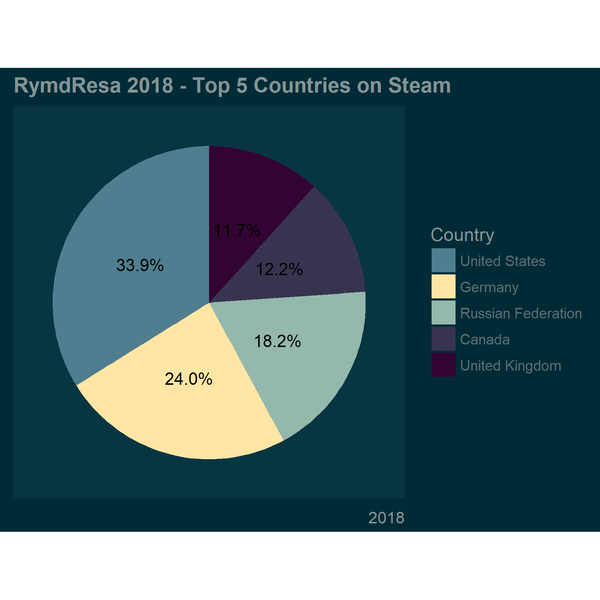 We also show you some summarizations of Steam data, done with R, where we look at the 25 countries where RymdResa were played the most in 2016, 2017 and 2018. We've also decided to try community translations! Yay! 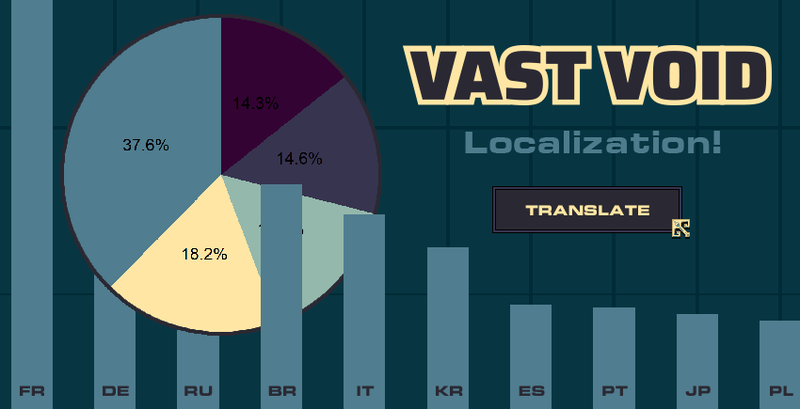 Want to help us translate Vast Void? Wohow!! We're starting the first round of translations today (now)! What languages should Vast Void be translated into? 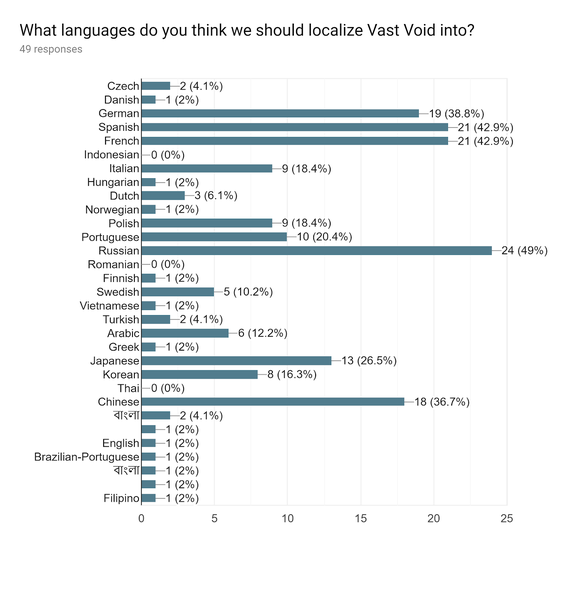 We, of course, would love to translate Vast Void into every language existing but that would be hard. To decide which languages would be most important we asked for your help. If you feel that we have missed a language, please let us know! How should Vast Void be translated? 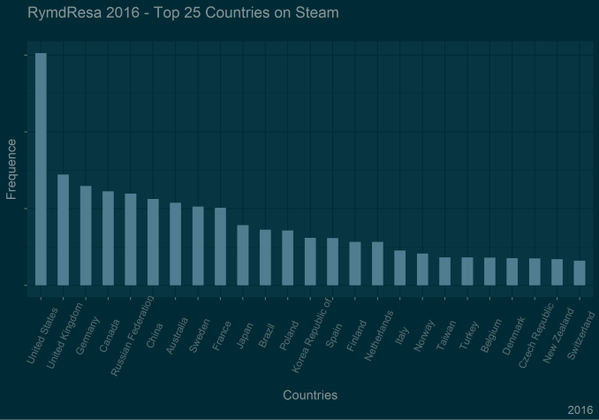 Localization is a costly project for a small game studio. However, we got a lot of comments two weeks ago with suggestions; and many of you wanted us to do community translations, which initially sounded a bit difficult to handle - but fun and exciting for sure. And it’s probably doable. Therefore we have decided to give it a shot. We’re really hyped about it! RymdResa is however super complex compared to imprint-X and quite heavily text-based, but we hope community translations will work as well as it did with imprint-X. Want to help us translate Vast Void? We will start by translating the Diary Pods form RymdResa (which are the same in Vast Void) and take it from there. This is the first translation round. 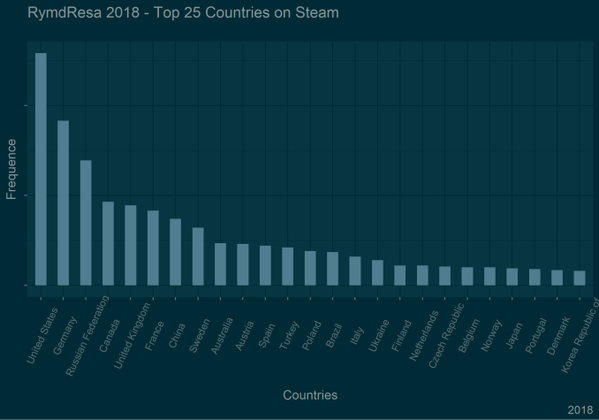 We will evaluate the first round in a couple of weeks to see how it went and decide if we can continue with community translations or if we must move on to professional translators. But hopefully, this will work out super well! A lot more texts to be translated (like quests, poems, item descriptions, and UI) will be available if all goes well, keep tuned by subscribing to our newsletter. =). 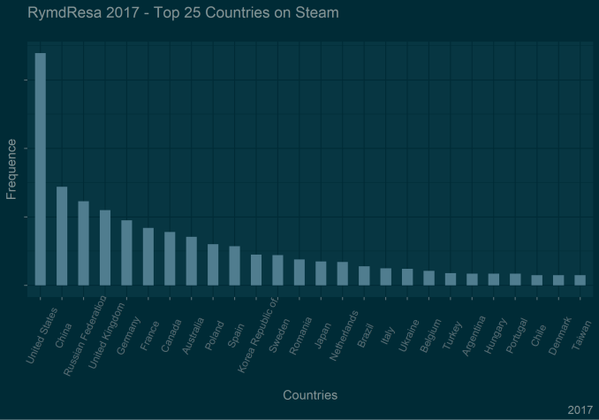 If contributing to the translations, we want to thank you in the game's credits. Therefore, don't forget to put your name or alias in the translated by row in the sheet.